STARFRIDAY : GTDC organizes special boat cruise for young cancer patients from Tata Memorial Hospital Mumbai. GTDC organizes special boat cruise for young cancer patients from Tata Memorial Hospital Mumbai. 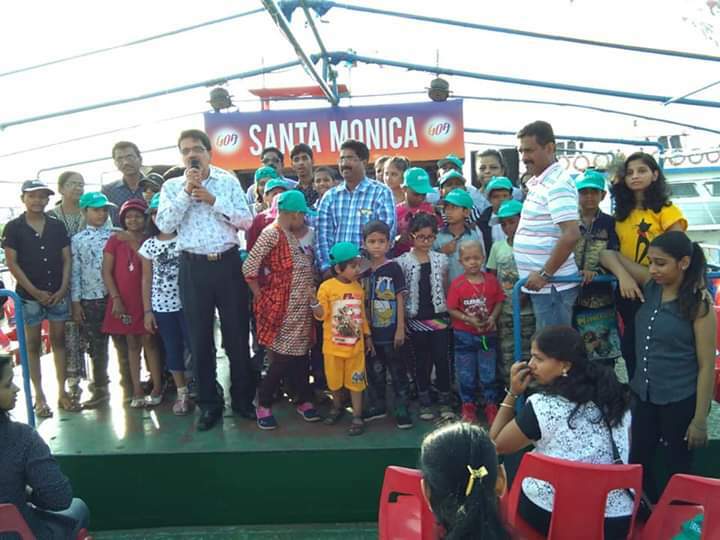 Panaji, Nov 18:-Children undergoing treatment at Tata Cancer Research Memorial Hospital, Mumbai enjoyed a Special Cruise on Santa Monica on River Mandovi organized by the Goa Tourism Development Corporation. A total of 28 children suffering from cancer and undergoing treatment at the Tata Memorial Hospital, Mumbai, arrived along with their parents in Margao on Thursday on a three-day excursion. As part of their holiday, they visited temples, churches, forts, beaches and enjoyed a boat cruise on River Mandovi. GTDC Sr. Manager & PRO, Mr. Deepak Narvekar extended a warm welcome to the children and their parents on board Santa Monica. The OSD to Union Minister for Ayush, Mr. Suraj Naik, GTDC Asst. 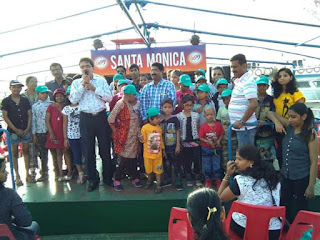 Manager- Cruises, Mr. Surendra Sawant , GTDC officials Ms. Manisha Shiroda and Mr. Nilesh Naik Desai were present and helped in co-ordinating the activities on board Santa Monica. Staff and volunteers from Tata Memorial Hospital were also present. Ms.Swati Mhatre, Jr.P.R.O and Mr.Santosh Sherwade, Asst adm officer public relations Tata Memorial hospital accompanied along with other officials of the hospital. The GTDC also extended all hospitality to the visiting children.